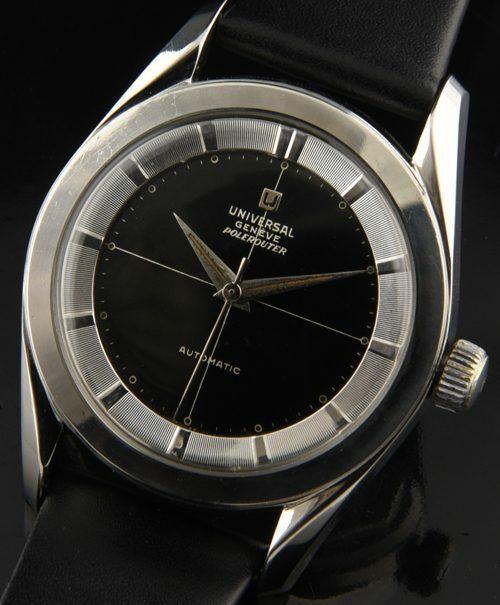 I really love these vintage Universal Geneve Polerouter watches. This example has a stunning original two-tone dial and original Dauphine hand set. I really like the wide bezel on these steel cases. This case is very clean-measuring 35.5mm. with inwardly curved (bombe) style lugs and dodecagonal screw back. This is the large version of this model. 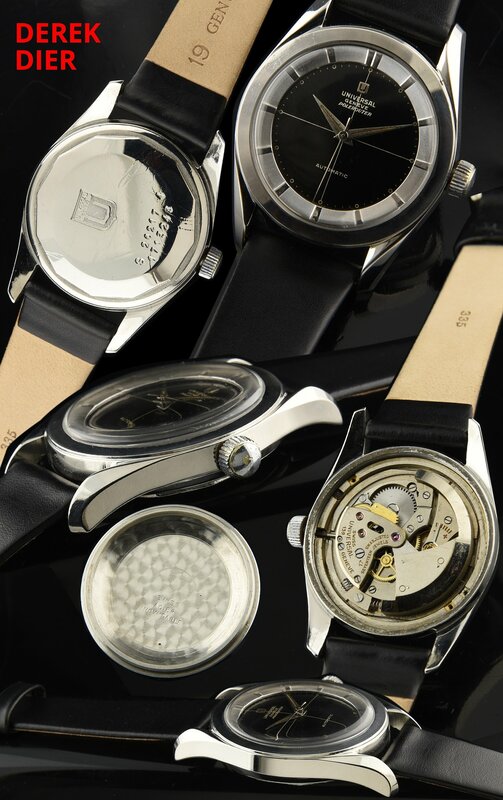 The automatic winding U.G. movement was just cleaned and accurate. Don’t hesitate on this watch-is a beauty! Just $1250.